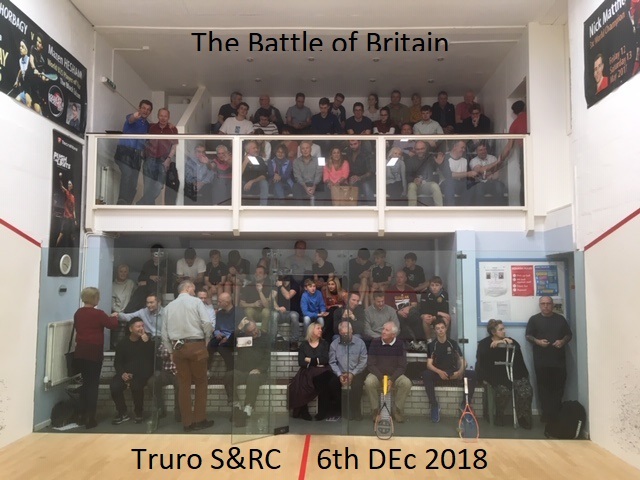 Last Friday Truro school and Truro Squash club were privileged to receive two of England’s best ever Squash players to this hub of Squash activity. James Willstrop is the former World No 1, the European and the current Commonwealth champion. 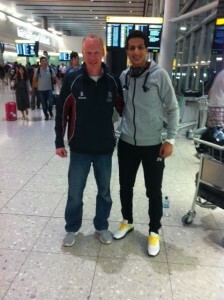 Daryl Selby is the former World no 9, World team champion and Commonwealth silver medallist. They are the top two British ranked players and still occupy positions at the very top of the World ranking system. 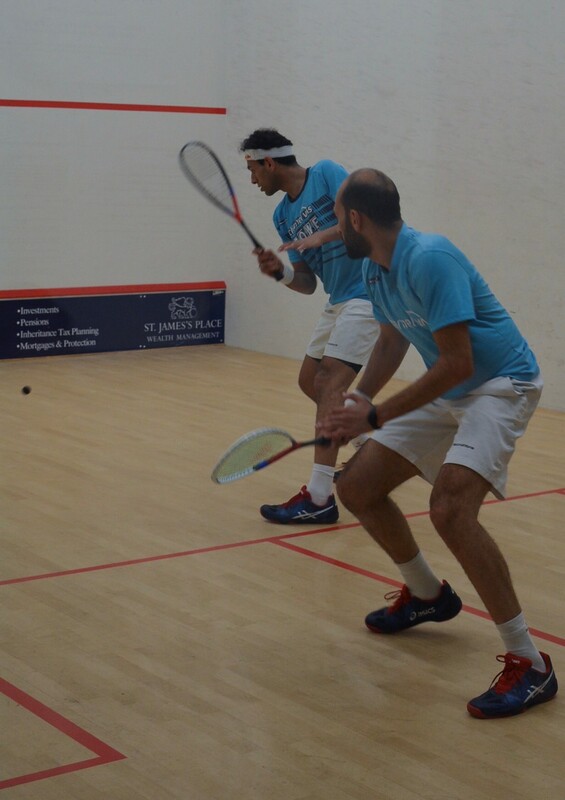 These professionals have amassed nearly 300 England caps between them and are part of our Golden Generation of home-grown global Squash stars. 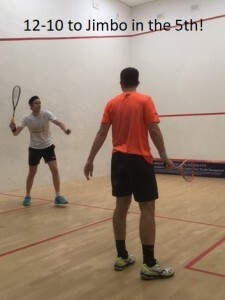 The visit began with an exciting masterclass at Truro school where they showed their skills and abilities to 30 of our rising Squash pupils and even brought their medals to inspire our fast developing youngsters. 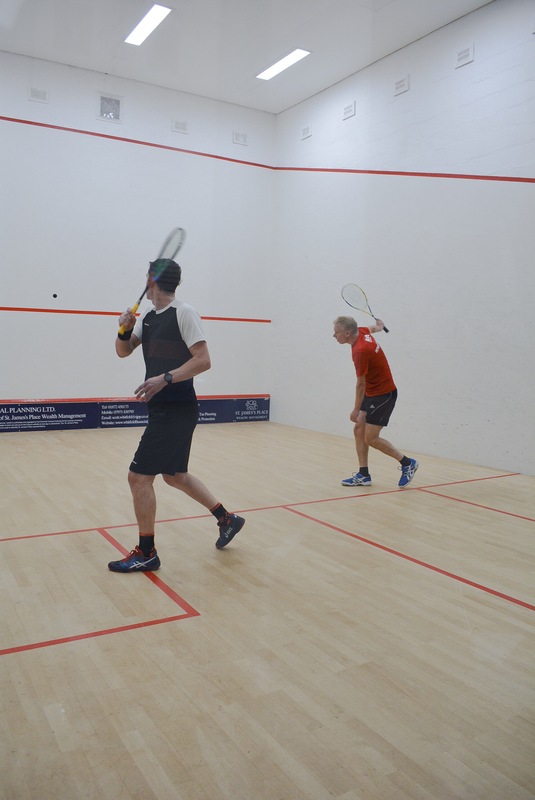 Truro school is challenging very hard for the National Schools Squash title, and this pro-session will only encourage our talented players even further in their bid to bring back the title. We then transferred to Truro Squash club for further junior training followed by “The Battle of Britain” challenge match between the Pros. The evening saw a sold-out auditorium enthralled and entertained by the speed, dexterity and awesome determination of the players to earn pre xmas bragging rights. 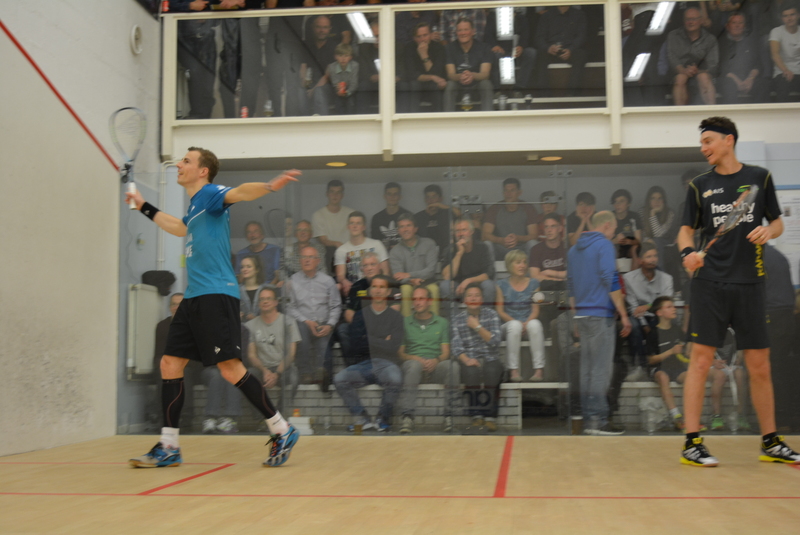 In the event the match went to a full five sets with James sneaking the win 12/10 in the decider. At the end of the proceedings James and Daryl expressed how impressed they were with the school and club and the depth of our junior talent pool here in Truro. We have superb facilities, a healthy school and club coaching structure and both internal and County-wide events and leagues throughout the entire season. 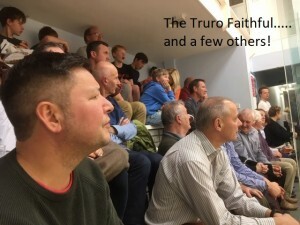 For more information see www.truroschool.com and www.trurosquashclub.co.uk or search Facebook for Truro S & R Club and Cornwall S&R. Big thanks to Tim for organising the event and to the generous sponsors who made it all possible. 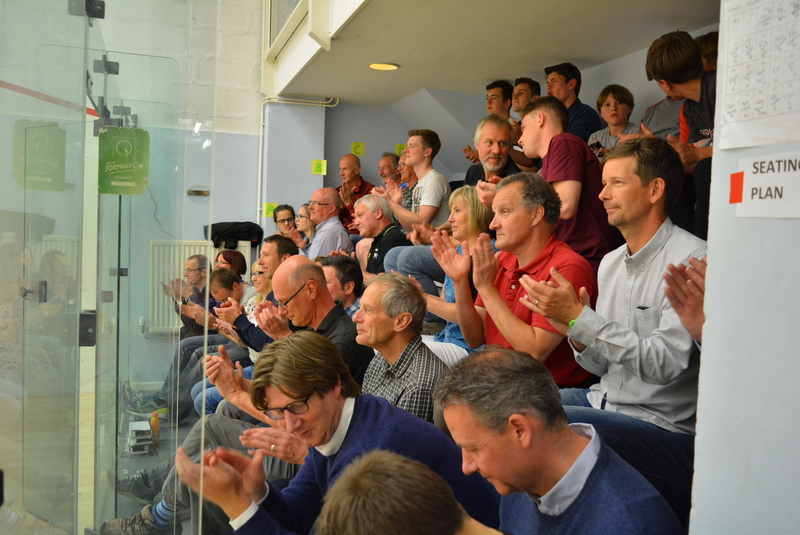 Our Truro youngsters gave a great account of themselves against the World’s best! A sell-out again so thanks extended to all those squash nuts who supported the event. It will go down as one of the best ever! 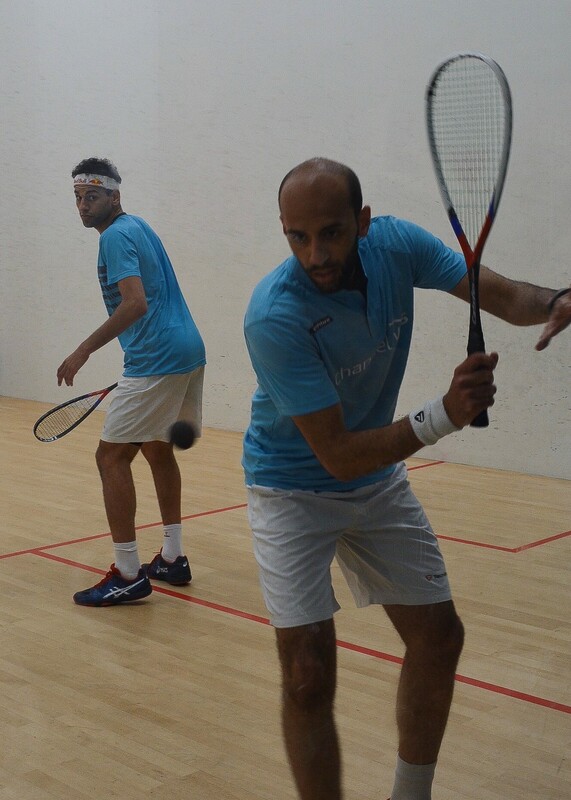 A thrilling afternoon and evening with added spice from the numerous attempts at the world speed record for hitting a squash ball – Mo managed 154 mph, not quite as good as Cameron last year! Thanks also to Dave and the Committee at TSRC who always support great squash nights like these! 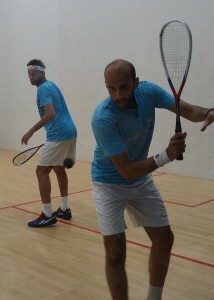 Truro: A centre for World Squash! 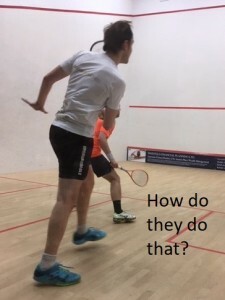 Last Friday our lovely city proudly hosted 4 of the very best Squash players in the World for a Masterclass at Truro School and Exhibition evening at Truro Squash club. 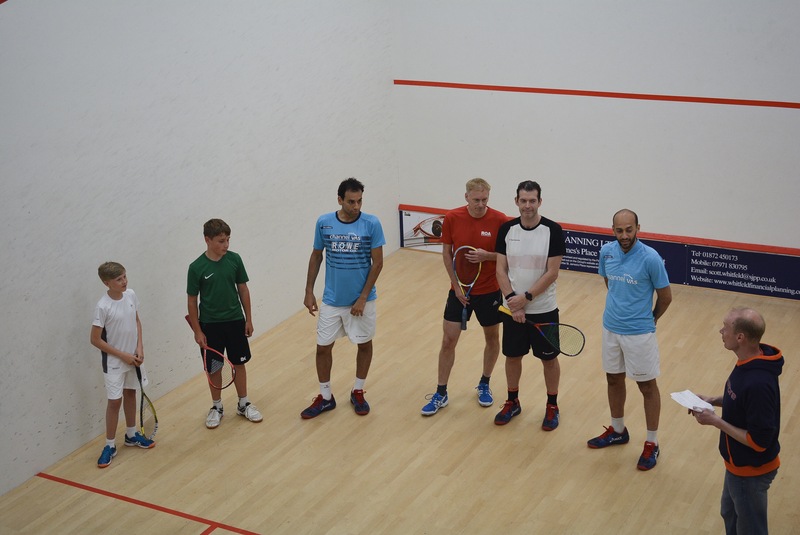 In attendance were World no1 Mohamed Elshorbagy, his brother and World no3 Marwan Elshorbagy, plus British Open O40 Champion Peter Marshall and England O40 Captain Jon Gallacher. 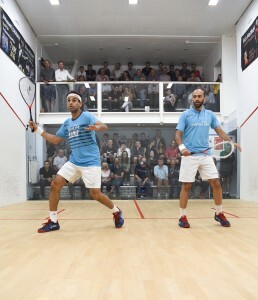 The Elshorbagy brothers hail from Alexandria in Egypt and have taken the Squash world by storm. Mohamed (27) is the current World Champion as well as no1 on the rankings and Marwan, who is 2 years younger, just claimed his first Grand Slam event and is rapidly becoming his closest challenger! 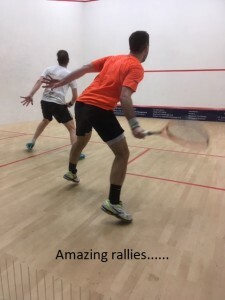 They can perhaps be described as the Squash version of the Brownlee brothers and look set to dominate the World of Squash for the next few years! 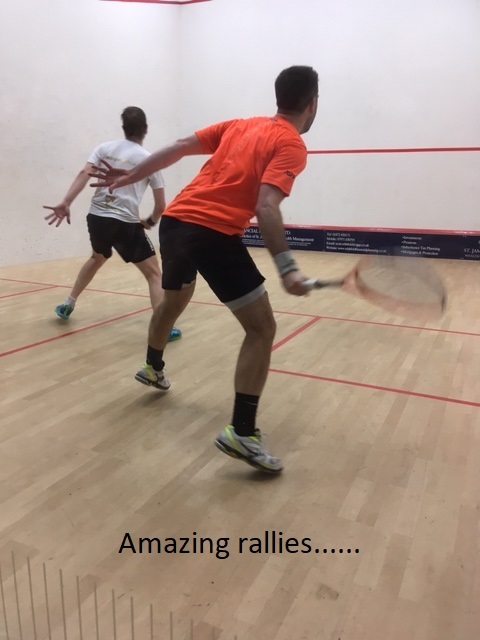 The event commenced with an outstanding masterclass involving over 40 squash pupils at Truro school and a near miss at the World speed record which currently stands at an amazing 177mph! The evening part of the event then moved to Truro Squash club and saw an entertaining series of matches involving rising juniors with the professional players and then two huge challenge matches to conclude. 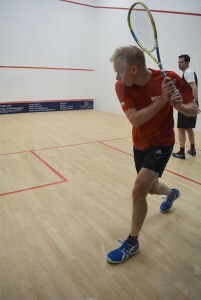 Peter Marshall, who reached World no2 at his peak, managed to overcome Jon Gallacher by 3 games to 1 in an intriguing encounter which enthralled the crowd due largely to Peter’s unique double-handed style versus Jon’s amazing length and line. Then the main event took to Truro’s centre court as the brothers played a full match at unbelievable speed, skill and precision to lift the Truro award and gain the bragging rights of being the Truro professional champion 2018. 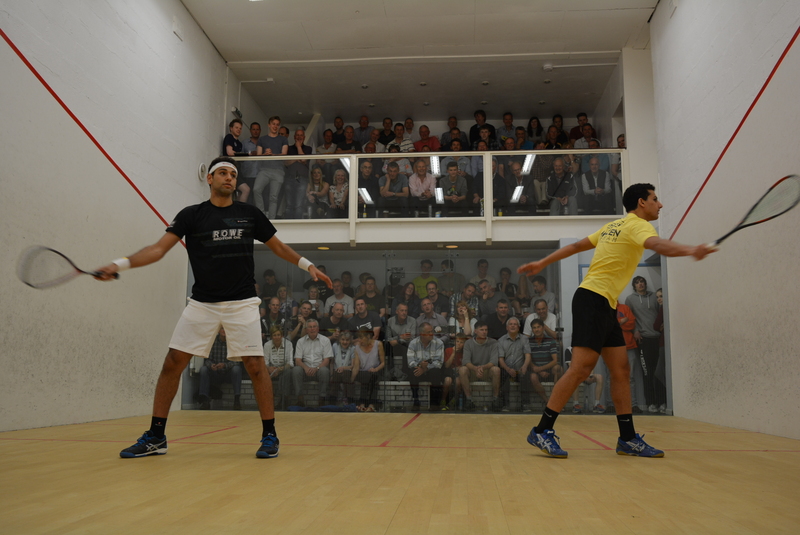 To underline the magnitude of the match, it was actually a repeat of the World Individual final which Mohamed won earlier this season. However on this occasion it was Marwan who took the honours with a closely fought 3 games to 1 win in front of a delirious capacity auditorium. The noise was literally deafening throughout the entire event and those who were lucky enough to get tickets were absolutely dazzled by the best players in the World showcasing the sport and inspiring our next generation of juniors to new heights! A massive thanks to our sponsors, Michael Spiers jewellers, Royston Leigh plc, AMS and Treward Investments. 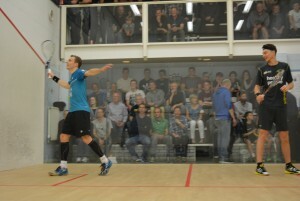 Also to Truro School and Truro Squash Club for their fabulous facilities and superb hospitality! Squash as a sport is growing rapidly and offers a fantastic workout, set in a dry and warm environment which typically only takes on an hour or so to perform and enjoy! 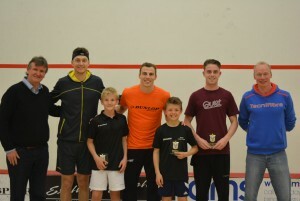 For any further information contact your local club or visit cornwallsquash.co.uk. A The Truro Club sold out for the two nights of great squash organised by county coach Tim Smith. 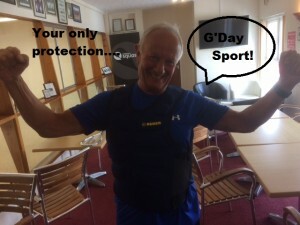 Brian, junior coach, shows off the ‘Bullet Proof Vest’ worn during the entertainment. 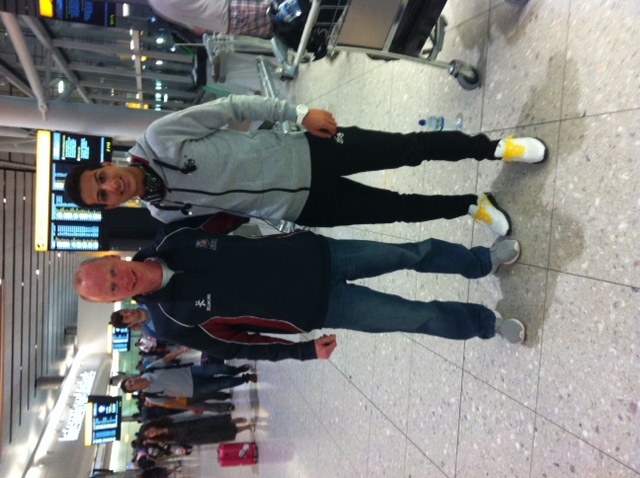 Mazen was chauffeur driven from Heathrow! Thanks Tim! The action! 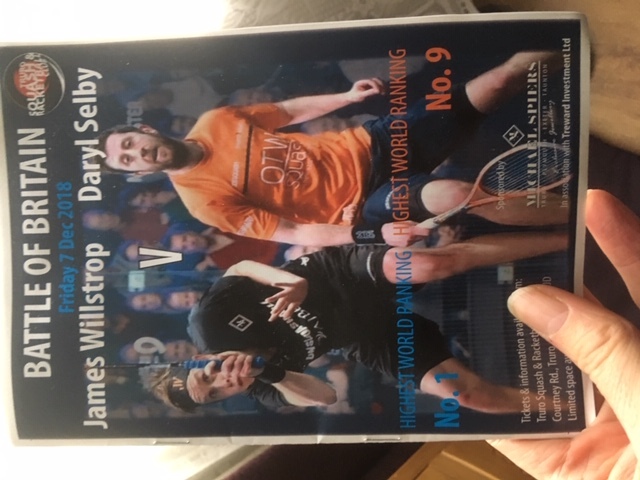 In January 2012, 2 world class squash players descended on our little old county of Cornwall to show us what we’ve all been doing wrong!! 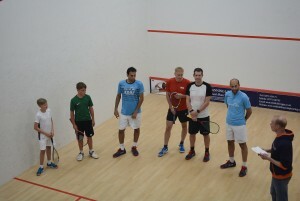 Thanks to Rory Brickell for organising the match between Saurav Ghosal (World No. 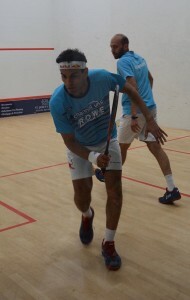 27) and Marwan El Shorbagy (World Junior No. 1 and World No. 33).